Why pay $150,000 – $200,000 for a franchise when you can get the same benefits, research, experience, professionalism and a comprehensive business all for only $8,750? Don’t be fooled. The more than a dozen leading franchises for children offer good businesses but are very expensive to start, operate and maintain. If you wanted to purchase a similar business using MadScience, My Little Gym and Young Chef’s Academy the cost would be about $750,000. And, you would own a very small territory that included only 300 schools. Plus, their royalties can up to 10% of your gross sales. Top Secret Kids is the best and most rewarding opportunity ever!! Starting a business can be stressful and even traumatic if you’re not prepared and organized. We show you exactly what it takes to “turn kids on” to education, or cooking or fitness and turn you into a successful Top Secret Kids Licensee. Our comprehensive 10 digital manuals and digital hands-on training overview everything to be successful including sales & marketing, step by step organizational schedules, management, human resources, customer service, education, teaching and accounting. We provide you with complete marketing which includes sample letters, brochures, flyers, press releases, ad slicks, certificates, invoices, teacher agreements and more. We also provide you with our list of business suppliers that you can order from and get started right away. You can choose to use any of these large suppliers or choose to use local vendors. You receive vital information about schools and other important child related businesses and organizations. Our distinctive image, marketing plan and business systems are precious assets that are evolving as we grow and reflect over 24 years of general business experience. We also provide you with a series of digital training that show you live birthday parties with us having fun with kids. There is no other digital training like these on the market and the parties are both easy to understand, fun, interactive and hands-on. Each activity includes a list of materials needed, what is happening, the step by step process and simple explanations. Our professional manuals and simple programs are written in simple terms and will enable you to quickly and effectively start your children’s business in your own local market. Once you’ve reviewed your manuals and had fun with the materials, within just days you’re ready for success! We also provide optional onsite training. We offer full business training at your location (home or office). The training is 3 full days and consists of participation of live action teaching programs, review of all activities, and comprehensive marketing and sales analysis. If you would like us to train you at your location the cost is an additional $5,000 plus transportation and accommodations. Our expertise is only a phone call away for a full 12 months. Once you have completed training, we continue to work with you any time you need us. Whether it’s marketing, employee issues, setting up your office or advertising, we are there for you. We offer on-going telephone sales support and will assist you with suggestions and ideas that you will find useful in building your business. We want each Top Secret Kids strategic partner to become part of a highly visible network. The positive perception associated with our image and professionalism creates consumer confidence and increases sales. All Licensees have access to our unique marketing ideas and materials. You will be able to share your ideas with other Licensees and receive their vision of the industry in return. As a team we hope to energize each other with new strategies. Our goal is to develop each Licensee play an important part in our family network. This might include sharing materials or equipment, sharing labor, or working in a cooperative advertising or tradeshow program. This will truly benefit your bottom line. Plus, there will be local annual meetings and newsletters to help you stay cutting-edge in your business. 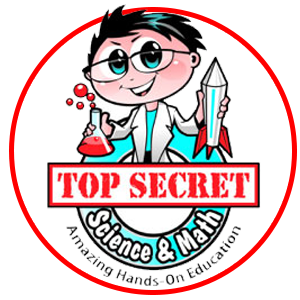 We also get you up and going with $500 worth of merchandise including customized tee shirts, aprons and teacher shirts, Scientist Trading Cards, Spartan Trading Cards, catalogs, Spartan medals, and samples of our best science experiments. We offer over 50 different items for sale exclusively to our Licensees. You will have a wide open market area! 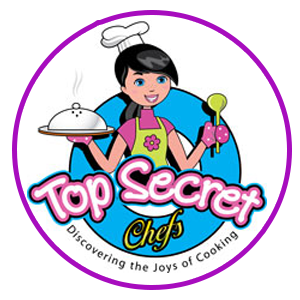 Top Secret Kids does not grant exclusive or protected market areas (only franchises typically offer exclusive areas or what we would consider limited areas). Rest assured however that we reserve the right to limit the number of Licensees selected for any specific geographic area. As you can imagine, Top Secret Kids grows when Licensees become successful. Not being selective in market development would only undermine our own future. Call to determine the current availability in your area.